Here is a cheese I am delighted with. I followed the basic recipe for Chaource, but with a couple of changes: I started with cooler milk, and ripened it longer (this was designed for my convenience) and I used goat milk instead of cow, but added a couple of quarts of heavy Jersey cream. This cheese is two weeks old. It has the lightest, fluffiest texture you can imagine, but it just melts into cream as it warms on your tongue. It’s a little saltier than my previous batches of Chaource, intentionally. 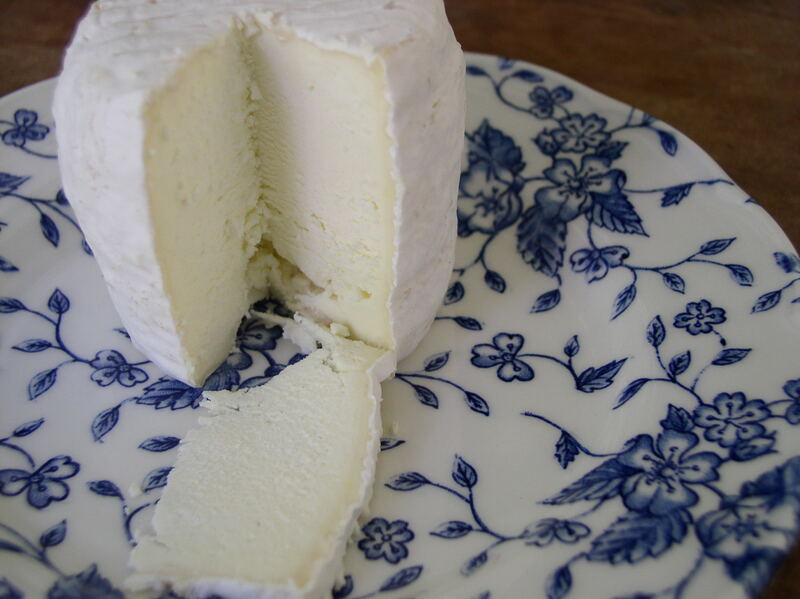 It has a clean goaty tang, with lots of buttery creaminess, and a faint mushroominess at the rind. It is impossible to stop eating! 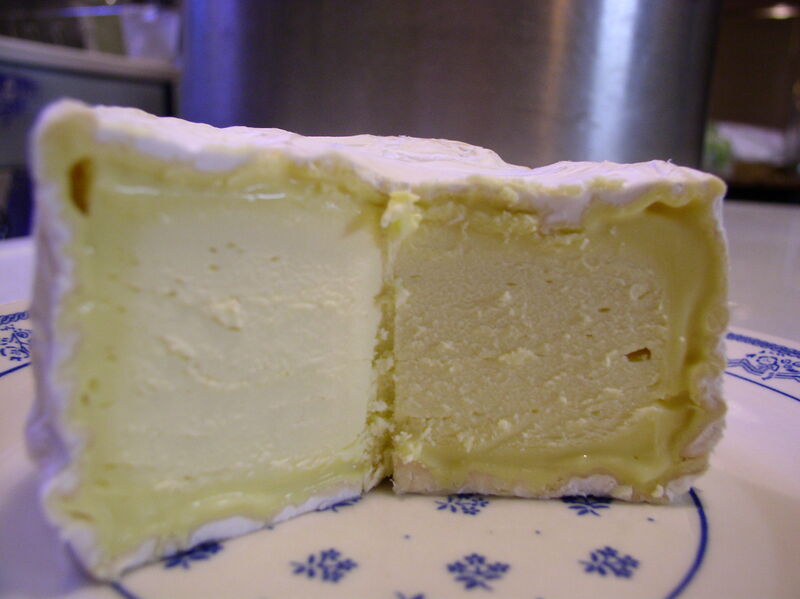 This is my take on Chaource, a bloomy-rinded semi-lactic cow milk cheese from the Champagne region of France. It is fluffy, melting to creaminess in the mouth; mushroomy and buttery, and this batch was aged (briefly) on Sweet Vernal Grass, so there are strong hay and vanilla notes. It’s yet another dark and rainy day—which, along with uncommonly mild temperatures, has been the default for this winter. No, that’s not fair—there’ve been quite a few beautiful sunny days, too, but it really has felt like a dark, damp winter. 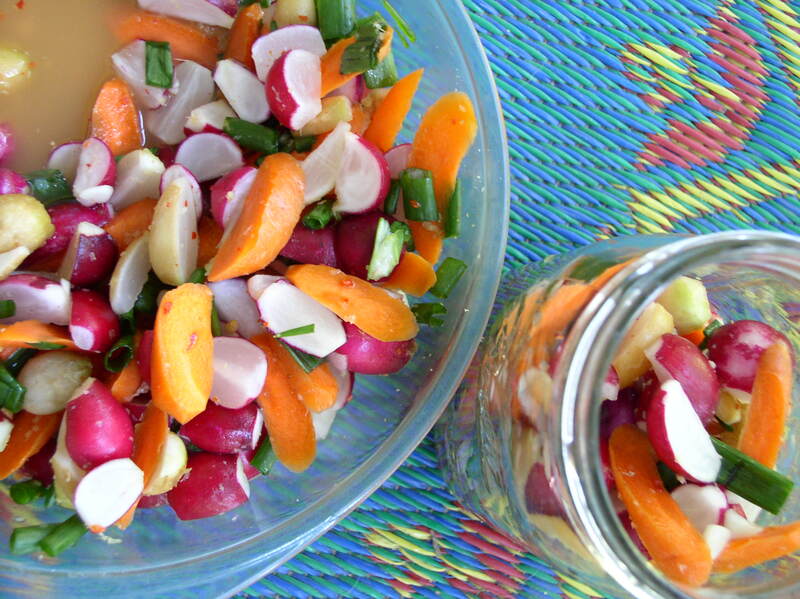 So today, stuck inside with the rain driving down outside, I have spent the day in the kitchen. We started with hashbrowns made from our russet potatoes that DH dug this morning, fried in lard from our neighbor’s pig. Those were pretty dang good. Then for a late lunch we had twice-baked potatoes with smoked sausage, also from our friends, and cheddar cheese. Wow, were those good! But now, being a little burned out on the (admittedly delicious) combination of potatoes and pork, I’m making homemade pop tarts, some chocolate, some blueberry. Here’s hoping the sun comes out tomorrow. 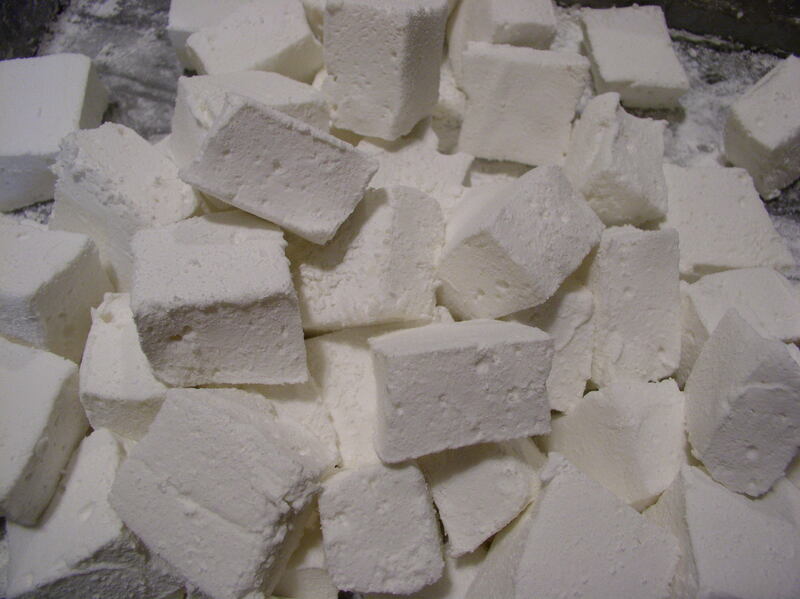 Homemade marshmallows, as it turns out, are so easy to make! And, even for a marshmallow hater like me, they’re pretty yummy. They have revolutionized hot cocoa for this family! Today I’m making cheese—a 4 pound hard cheese. I’m not cheddaring it, because we’ve loved the last few that weren’t cheddared—they have been more like a jack. 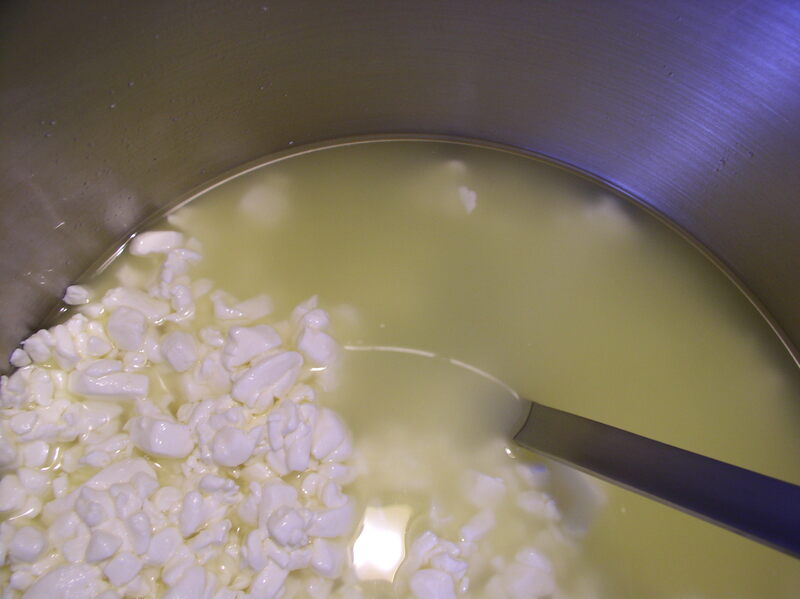 Yesterday I made cottage cheese with naturally clabbered milk, which makes my favorite cottage cheese. This one went a day too long, so was a little strong tasting, so this morning we used it in cottage cheese pancakes, which are a great farm food—they use lots of eggs and cottage cheese and just a little flour. 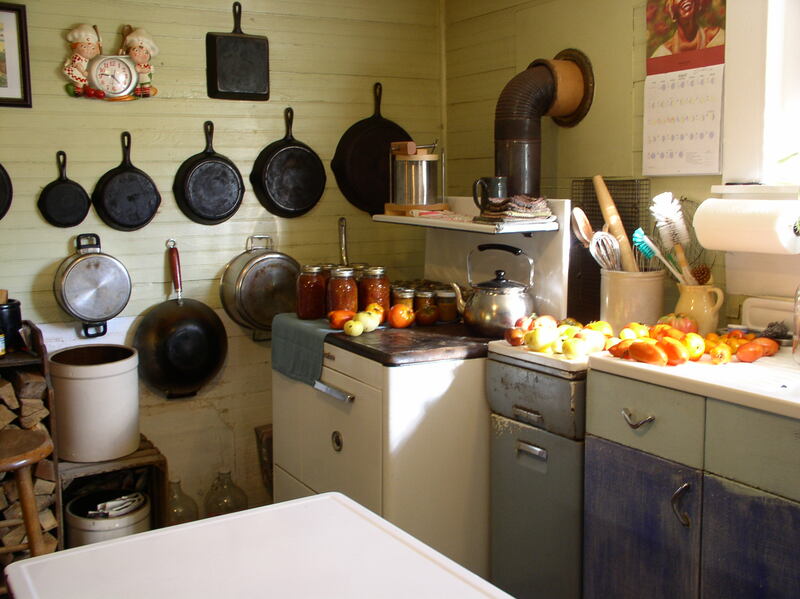 The pancakes are so good—really light and fluffy and golden brown, and delicious with maple syrup or apple butter. Also today I’m brining a good-sized piece of pork belly to roast this weekend and serve with lentils. The brine smells wonderful, and I’ll be able to use it over and over this fall when we butcher pigs. I finally just threw out last year’s brine, which had developed a little floating mold colony on top. It probably could’ve been saved, but it seemed easier to start fresh than to rehabilitate the old one. The brine does get a character as it ages and gets used more and more, though. And finally, today’s last kitchen project (besides supper) is a batch of cheese crackers. Have you ever read the list of ingredients on a box of cheez-its? Good grief—I haven’t! I don’t have the time or the eyes for it! But I do know that it’s a very, very long list. Well, our whole family loves those things, so I’m searching for a recipe that will be a little less chemical-and-other-crap-laden. I’ll try to remember to tell you my opinion on these when they’re done.